Buy New Flats Naihati Premier Dealmark Ltd Prachchad (Prachadd) new property flat price rate costs charges 1 2 3 BHK Rooms size area Prachchad (Prachadd) flats booking online Buy Flat Kolkata, details of Prachchad (Prachadd) Naihati housing project. Prachchad (Prachadd) at Naihati has given the opportunity to the people of Kolkata and across Bengal to buy new flats at Naihati of Premier Dealmark Ltd Real Estate Company. Those who are looking for New Property / Flat / Houses nearby Bijoynagar, Netaji Sangha Club of Naihati in 24-Pgs (North) at cheap price rate; can now contact the head office of Premier Dealmark Ltd to book new flats of Prachchad (Prachadd), Naihati. Automatic Lift, 24-hrs Generator, Modern Electrical Fittings, Shopping Complex, 24hrs Water Supply, Fire Fighting Arrangements, Car parking area, 24-hrs Security Guard, and many other common facilities are available at Prachchad (Prachadd), Naihati Real Estate Housing Apartments of Premier Dealmark Ltd.
It’s a G+4 Apartment having 16 modern flats. There are several types of flats / accommodations are available at Prachchad (Prachadd) like 1-BHK, 2-BHK, 3-BHK Rooms etc and the Prachchad (Prachadd) flat price at Naihati are varies. Finance and Bank Loan facility is available at Prachchad (Prachadd) Housing Project for the buyers. • Prachchad (Prachadd) Housing Project Site Address: - 68 & 72 Rishi Bankim Road, 1No Bijoynagar, Near Netaji Sangha Club, Naihati, 24-Parganas (North), West Bengal. • Prachchad (Prachadd) Naihati Real Estate Project Phone contact number: - 9331824831 / 9331525151 / 033-32611330. • Premier Dealmark Ltd website: - www.premierdealmark.in. It is recommended to the peoples, who want to buy flats at Naihati (or nearby area like Bijoynagar, Naihat), to contact Premier Dealmark Ltd as soon as possible to know new Prachchad (Prachadd) flat prices and to Book Flats. Booking opens from 15th October 2012. Buy New Flats Uttarpara Dynamo Realcon Pvt Ltd Ganga Greens new property flat price rate costs charges 1 2 3 BHK Rooms size area Ganga Greens flats booking online Buy Flat Kolkata. Ganga Greens at Uttarpara has given the opportunity to the people of Kolkata and across Bengal to buy new flats at Uttarpara of Dynamo Realcon Pvt Ltd Real Estate Company. Those who are looking for New Property / Flat / Houses nearby Bally, Hindmotor, Konnagar of Hooghly District at cheap price rate; can now contact the head office of Dynamo Realcon Pvt Ltd to book new flats of Ganga Greens, Uttarpara. 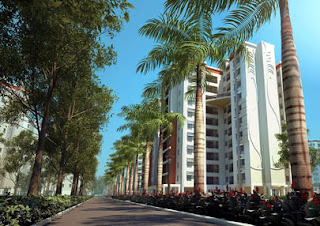 Lift Service, Swimming Pool, Lush green landscaped lawn, community hall, gymnasium, children’s play area, CCTV for Security reasons, video door phone for security safety, 24-hours water supply, 24-hours power backups, and many other common facilities are available at Ganga Greens, Uttarpara Real Estate Housing Apartments of Dynamo Realcon Pvt Ltd. The ultimate attraction of Ganga Green Apartment is the River Ganga. There are several types of flats / accommodations are available at Ganga Greens like 1-BHK, 2-BHK, 3-BHK Rooms etc and the Ganga Greens flat price at Uttarpara are varies. Finance and Bank Loan facility is available at Ganga Greens Housing Project for the buyers. Please visit www.gangagreens.in website to check the price package. 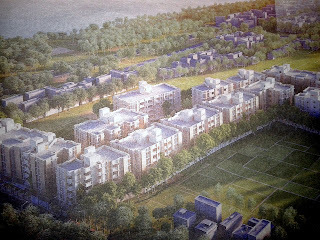 • Ganga Greens Housing Project Site Address: - 19, G.T. Road, Near Bhadrakali High School, Uttarpara, Hooghly, West Bengal. • Ganga Greens Uttarpara Real Estate Project Phone contact number: - 9007334488. • Dynamo Realcon Pvt Ltd Head Office Address: - Narayani Building, 2nd Floor, Room No.202, 27 Brabourne Road, Kolkata-1 [info@dynamorealcon.com]. • Dynamo Realcon Pvt Ltd website: - www.gangagreens.in. It is recommended to the peoples, who want to buy flats at Uttarpara (or nearby area like Bally, Bhadrakali, Hindmotor, Konnanagar), to contact Dynamo Realcon Pvt Ltd as soon as possible to know new Ganga Greens flat prices and to Book Flats. Buy New Flats Behala Thakurpukur Kolkata Riddhi Siddhi Group Riddhi Siddhi Park new property flat price rate costs charges 1 2 3 BHK Rooms size area Riddhi Siddhi Park flats booking online Buy Flat Kolkata. Riddhi Siddhi Park at Thakurpukur Kolkata has given the opportunity to the people of Kolkata and across Bengal to buy new flats at Thakurpukur Kolkata of Riddhi Siddhi Group Real Estate Company. Those who are looking for New Property / Flat / Houses nearby Behala, Joka, Parnasree of South Kolkata at cheap price rate; can now contact the head office of Riddhi Siddhi Group to book new flats of Riddhi Siddhi Park, Thakurpukur Kolkata. 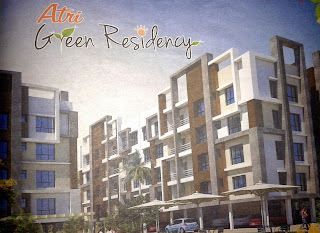 Lift Service, Swimming Pool, Lush green landscaped lawn, community hall, gymnasium, children’s play area, CCTV for Security reasons, video door phone for security safety, 24-hours water supply, 24-hours power backups, and many other common facilities are available at Riddhi Siddhi Park, Thakurpukur Kolkata Real Estate Housing Apartments of Riddhi Siddhi Group. There are several types of flats / accommodations are available at Riddhi Siddhi Park like 1-BHK, 2-BHK, 3-BHK Rooms etc and the Riddhi Siddhi Park flat price at Thakurpukur Kolkata is Rs.2751/- per sq ft [as on June 2012]. Finance and Bank Loan facility is available at Riddhi Siddhi Park Housing Project for the buyers. • Riddhi Siddhi Park Housing Project Site Address: - Diamond Park, Opposite of ESI Hospital, Diamond Harbor Road, Thakurpukur, Kolkata-104. • Riddhi Siddhi Park Thakurpukur Kolkata Real Estate Project Phone contact number: - 033-3221-5072. • Riddhi Siddhi Group Head Office Phone Contact Number: -9007002441 / 9903991569. • Riddhi Siddhi Group website: - www.primoestates.com. It is recommended to the peoples, who want to buy flats at Thakurpukur Kolkata (or nearby area like Behala, Joka, Parnasree), to contact Riddhi Siddhi Group as soon as possible to know new Riddhi Siddhi Park flat prices and to Book Flats. Buy New Flats Barasat Kolkata Magnolia Infrastructure Magnolia City new property flat price rate costs charges 1 2 3 BHK Rooms size area Magnolia City flats booking online Buy Flat Kolkata. Magnolia City at Barasat Kolkata has given the opportunity to the people of Kolkata and across Bengal to buy new flats at Barasat Kolkata of Magnolia Infrastructure Real Estate Company. Those who are looking for New Property / Flat / Houses nearby Madhyamgram, Barasat, Badu Road, Duttapukur area of North Kolkata at cheap price rate; can now contact the head office of Magnolia Infrastructure to book new flats of Magnolia City, Barasat Kolkata. Lift Service, Swimming Pool, Lush green landscaped lawn, community hall, gymnasium, children’s play area, CCTV for Security reasons, video door phone for security safety, 24-hours water supply, 24-hours power backups, and many other common facilities are available at Magnolia City, Barasat Kolkata Real Estate Housing Apartments of Magnolia Infrastructure. There are several types of flats / accommodations are available at Magnolia City like 1-BHK, 2-BHK, 3-BHK Rooms etc and the Magnolia City flat price at Barasat Kolkata are varies. Finance and Bank Loan facility is available at Magnolia City Housing Project for the buyers. 2-BHK flats at Rs.12 Lacs and 3-BHK flats at Rs.14.80 Lacs only. 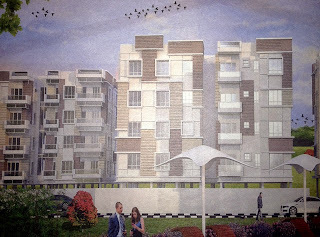 • Magnolia City Housing Project Site Address: - Shastriji Road, Machpole, Barasat, Kolkata-126. • Magnolia City Barasat Kolkata Real Estate Project Phone contact number: - 033-4040-1010. • Email Id: - magnolia.infrastructure@gmail.com. • Magnolia Infrastructure website: - www.magnoliainfrastructure.com. It is recommended to the peoples, who want to buy flats at Barasat Kolkata (or nearby area like Bamangachi, Hridaypur, Duttapukur, Barasat), to contact Magnolia Infrastructure as soon as possible to know new Magnolia City flat prices and to Book Flats. Kolkata Buy New Flats Teghoria Kolkata Daffodil Group La-Bella new property flat price rate costs charges 1 2 3 BHK Rooms size area La-Bella flats booking online Buy Flat Kolkata. La-Bella at Teghoria Kolkata has given the opportunity to the people of Kolkata and across Bengal to buy new flats at Teghoria Kolkata of Daffodil Group Real Estate Company. Those who are looking for New Property / Flat / Houses nearby VIP Road, Baguiati, Haldirams area of Teghoria Kolkata at cheap price rate; can now contact the head office of Daffodil Group to book new flats of La-Bella, Teghoria Kolkata. Lift Service, Swimming Pool, Lush green landscaped lawn, community hall, gymnasium, children’s play area, CCTV for Security reasons, video door phone for security safety, 24-hours water supply, 24-hours power backups, and many other common facilities are available at La-Bella, Teghoria Kolkata Real Estate Housing Apartments of Daffodil Group. There are several types of flats / accommodations are available at La-Bella like 1-BHK, 2-BHK, 3-BHK Rooms etc and the La-Bella flat price at Teghoria Kolkata are varies. 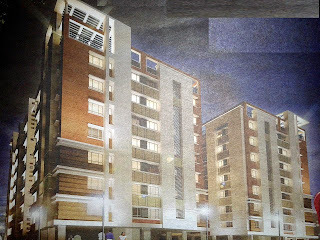 Finance and Bank Loan facility is available at La-Bella Housing Project for the buyers. 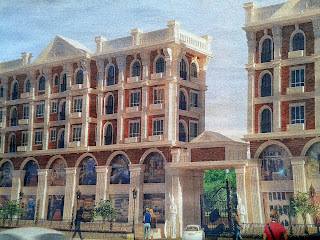 • La-Bella Housing Project Site Address: - VIP Road, Big Bazar, Teghoria, Kolkata. 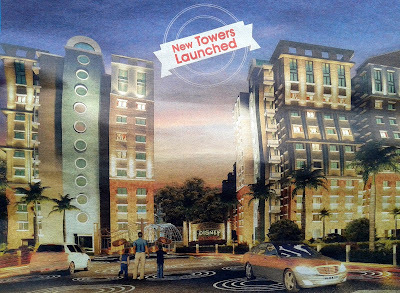 • La-Bella Teghoria Kolkata Real Estate Project Phone contact number: - 9007033163. • Daffodil Group Head Office Address: - Daffodil Projects Pvt Ltd, 5 Kabir Road, Kolkata-26. • Daffodil Group Head Office Phone Contact Number: -033-24669580 / 033-24661260. • Daffodil Group website: - www.daffodilgroup.com. It is recommended to the peoples, who want to buy flats at Teghoria Kolkata (or nearby area like Baguiati, Haldirams, VIP Road), to contact Daffodil Group as soon as possible to know new La-Bella flat prices and to Book Flats. Larica Township Barrackpore-Barasat is the self sufficient township having around 2000 flats and a shopping complex inside. Larica Estates Limited, Larica Township developer, is looking for the business owners to sale or to give commercial spaces on rent at Larica Shopping Complex Barrackpore-Barasat Kolkata. 1. Larica Shopping Complex Barrackpore-Barasat is located at the centre of Barasat and having 2000 flats in it’s township. 2. 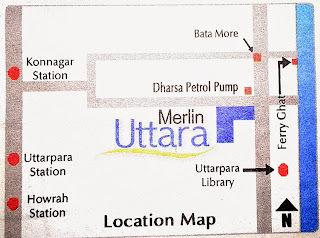 Only 2-Kms of distance from Barasat Metro & Railway Station and on one of the busiest Barrackpore-Barasat main road. 3. Ideal for small shops / commercial space, size between 95.5 & 11000 sq ft area, for opening a restaurant, call centre, training centre, coaching centre, bank, showrooms etc at Larica Shopping Complex Barrackpore-Barasat Kolkata. 4. Shop price starts Rs.3.34 Lakhs only with the Bank loan and EMI facility available for the purchase of commercial space at Larica Shopping Complex Barrackpore-Barasat Kolkata. Where is Larica Shopping Complex Barrackpore-Barasat Kolkata? The self sufficient township Larica Residential & Shopping Complex is located opposite of Loknath Mandir, Barrackpore Road, Barasat, Kolkata-126. Interested people who want take commercial space on rent / lease or want to buy are requested to contact the head office of Larica Project developer Larica Estates Ltd, 7 Red Cross Place, 4th Floor, Kolkata-1 and for further queries are requested to call 033-22137052 / 9830911111 phone number or simply write to laricaestates@yahoo.co.in as soon as possible. 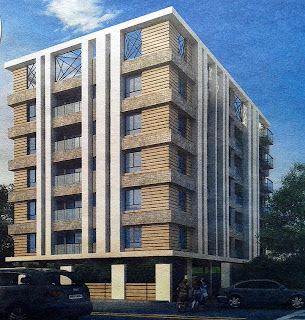 Durgapur Buy New Flats Kuldiha Durgapur Swarnabhumi Developers Ltd Banalata new property flat price rate costs charges 1 2 3 BHK Rooms size area Banalata flats booking online Buy Flat Durgapur Bengal. Banalata at Kuldiha, Durgapur has given the opportunity to the people of Kolkata and across Bengal to buy new flats at Kuldiha, Durgapur of Swarnabhumi Developers Ltd Real Estate Company. Those who are looking for New Property / Flat / Houses nearby Durgapur City Centre, Muchipara, Bidhannagar of Durgapur (Burdwan) at cheap price rate; can now contact the head office of Swarnabhumi Developers Ltd to book new flats of Banalata, Kuldiha, Durgapur. 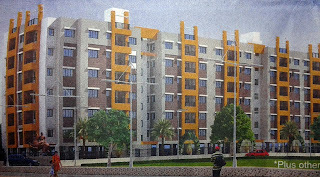 Lift Service, Swimming Pool, Lush green landscaped lawn, community hall, gymnasium, children’s play area, CCTV for Security reasons, video door phone for security safety, 24-hours water supply, 24-hours power backups, and many other common facilities are available at Banalata, Kuldiha, Durgapur Real Estate Housing Apartments of Swarnabhumi Developers Ltd. 24 hours Ambulance and Nursing Home is also inside the Banalata Complex of Durgapur. There are several types of flats / accommodations are available at Banalata like 1-BHK, 2-BHK, 3-BHK Rooms etc and the Banalata flat price at Kuldiha, Durgapur are varies. Finance and Bank Loan facility is available at Banalata Housing Project for the buyers. 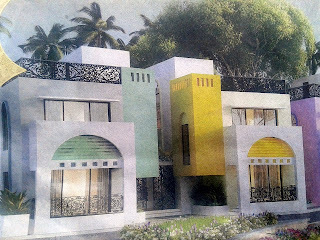 • Banalata Housing Project Site Address: - Kuldiha, Durgapur. Just 9km from Durgapur Railway Station, 10Km from City Centre, 6Km from Bidhannagar, 5Km from Mission Hospital, 6Kms away from St. Xavier’s School and only 6Kms far from Muchipara. • Banalata Kuldiha, Durgapur Real Estate Project Phone contact number: - 0343-2547178 / 8697722310. • Swarnabhumi Developers Ltd Head Office Phone Contact Number: - 033-24988972 / 8697722311. • Swarnabhumi Developers Ltd website: - www.swarnabhumigroups.com. It is recommended to the peoples, who want to buy flats at Kuldiha, Durgapur (or nearby area like Durgapur City Centre, Mission Hospitals), to contact Swarnabhumi Developers Ltd as soon as possible to know new Banalata flat prices and to Book Flats.